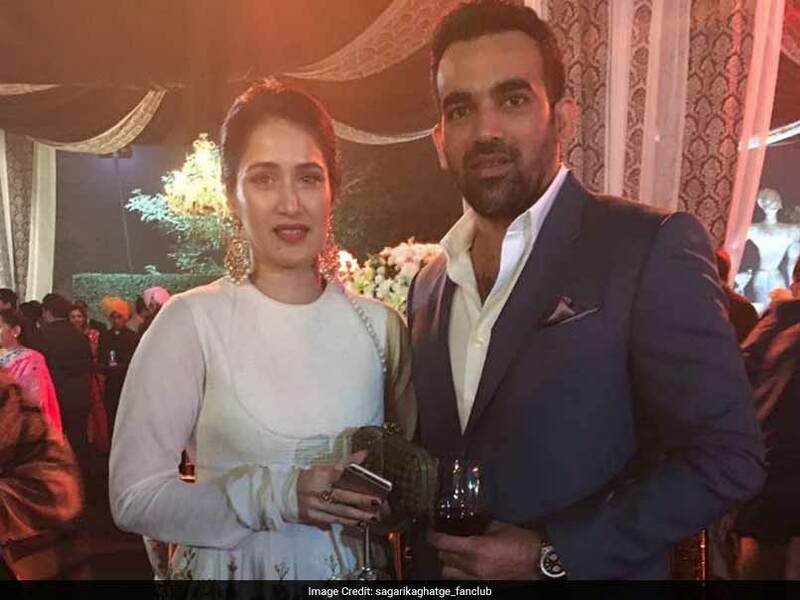 Former Indian fast bowler Zaheer Khan & “Chak de India” fame girl Sagarika Ghatke finally got engaged. The news of the romance of both of them on the social media was trending, but there was no comment from both of them. Today, when Zaheer is busy captaining the Delhi Daredevils in the IPL season 10, Zaheer tweeted He gave news to his loved ones. Yes, Zaheer tweeted, ‘Do not ever laugh at your wife's choice, you are also one of them’. 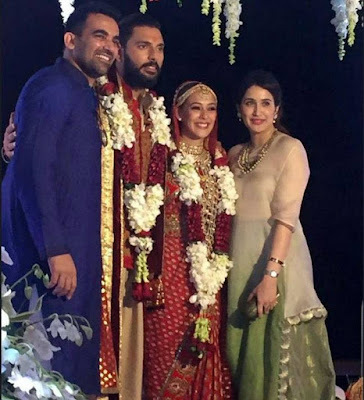 The entire life partner, Engaged Sagarika Ghatge. With this tweet, Zaheer has also shared his photo with his fiancé. Sagarika also shared the news of the engagement with the cricketer on the tweeter. Sagarika had taken the attention of everyone by playing a key role in Shah Rukh Khan's famous movie 'Chak De India'. Zaheer and Sagarika were seen together for several months. In December last year, both were seen in the marriage of Yuvraj Singh and Hazel Keech. Before Zaheer, Virat Kohli had celebrated Valentine's Day with Bollywood actress Anushka Sharma and shared photos on Twitter. Now Zaheer also get attached with this Bollywood actress. Earlier, Zaheer Khan's name was associated with actress Isha Sharwani. They were in a long relationship. The news was that Zaheer Khan is going to marry Isha after the ICC World Cup-2011, but suddenly the news of the breakup came. Zaheer and Isha never talked about their relationship that lasted nearly eight years. After Isha, Zaheer's heart stuck in the beautiful eyes of Sagarika. It is also said that Zaheer Khan had been trying to revolve around Sagarika for a long time, but nothing happen. Later, former cricketer Bishan Singh Bedi's son and Bollywood actor Angad Bedi introduce both of them. Former Indian cricketer Zaheer Khan enjoying in the IPL at this time as a skipper of Delhi Dardevil. He has so far taken 99 wickets in 95 matches of the IPL. The 38-year-old player started the IPL with the Royal Challengers Bangalore team, but the next two seasons played for Mumbai Indians. 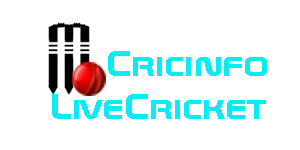 After that he played from Bangalore side from 2011 to 2013. From the IPL season 8, he is playing for Delhi Daredevils.